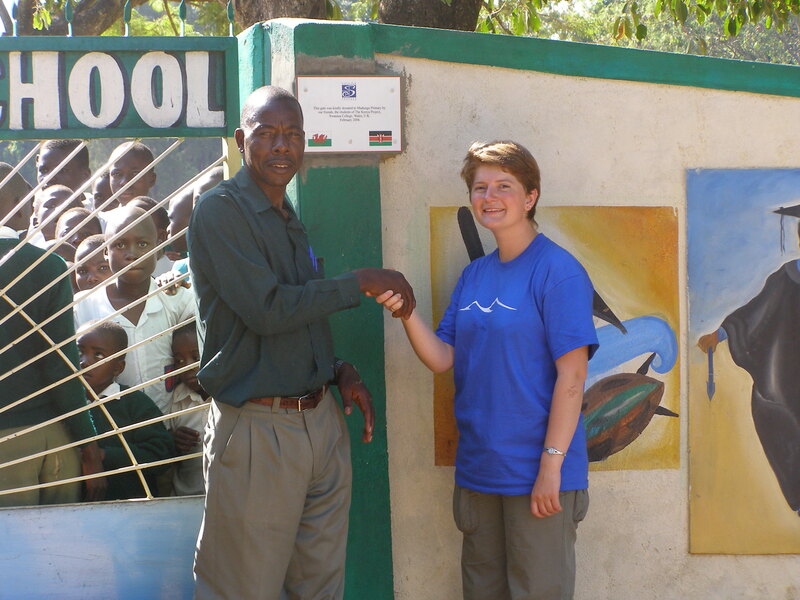 Becky presents the new gate for the school compound and plaque, funded by KCEP, to the late Mr Anyumba, Headmaster of Madungu Primary in 2006. 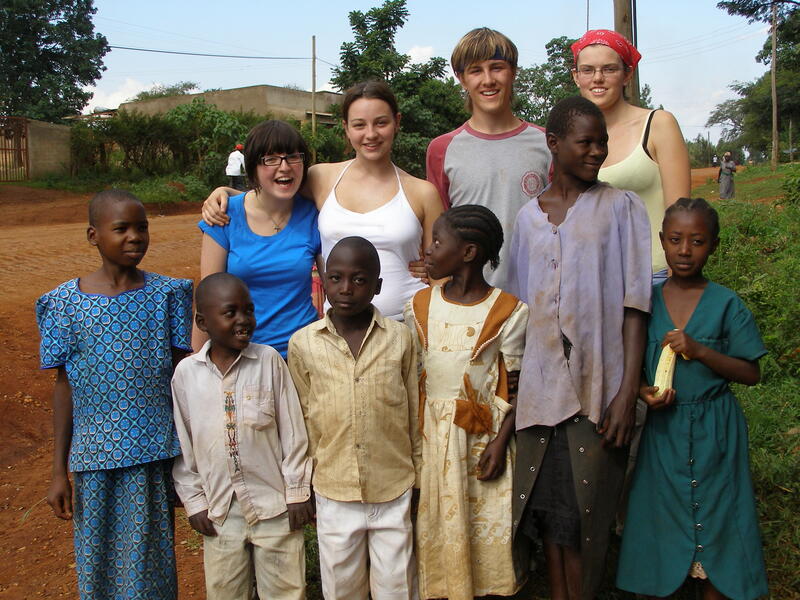 (From left to right) Anya, Sarah, Rob, Elinor and new friends, 2006. 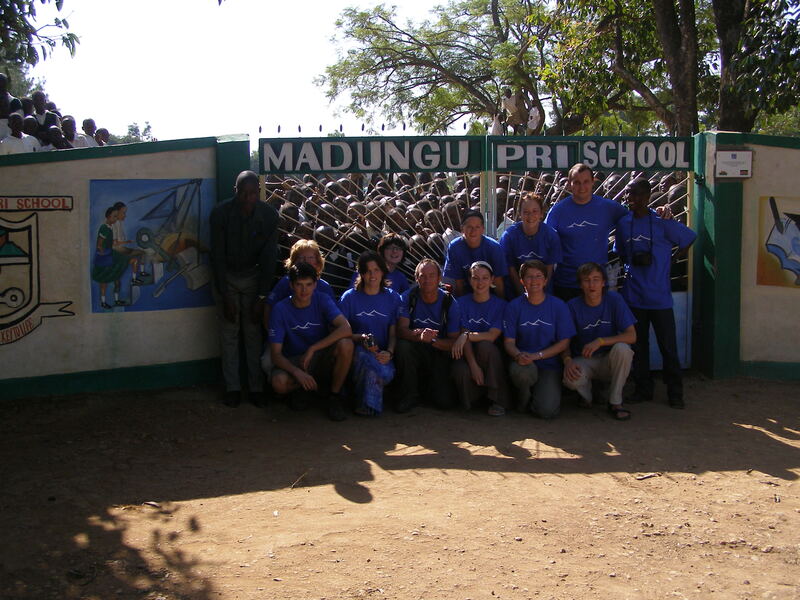 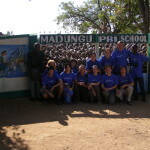 Pat presents £2,000 cheque to the Headmaster of Madungu Primary and the School Management Committee, 2006. 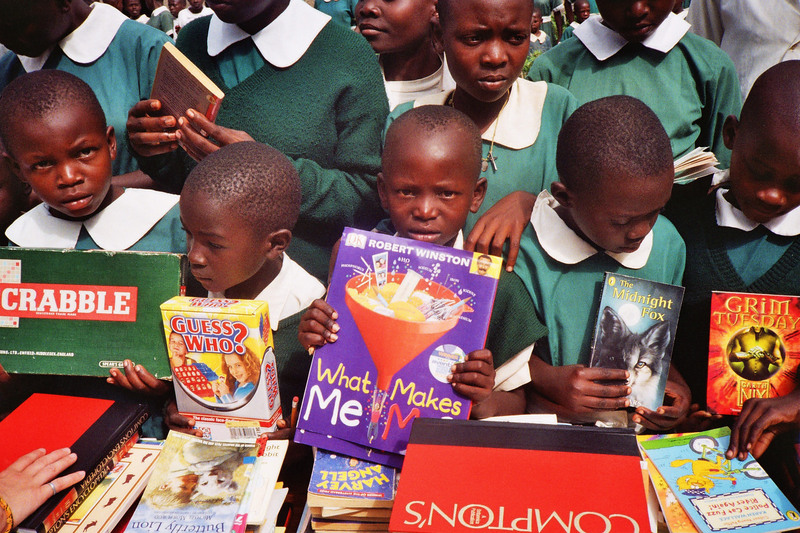 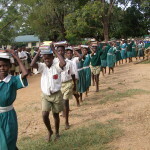 The pupils are excited to pick up and touch the news books and games! 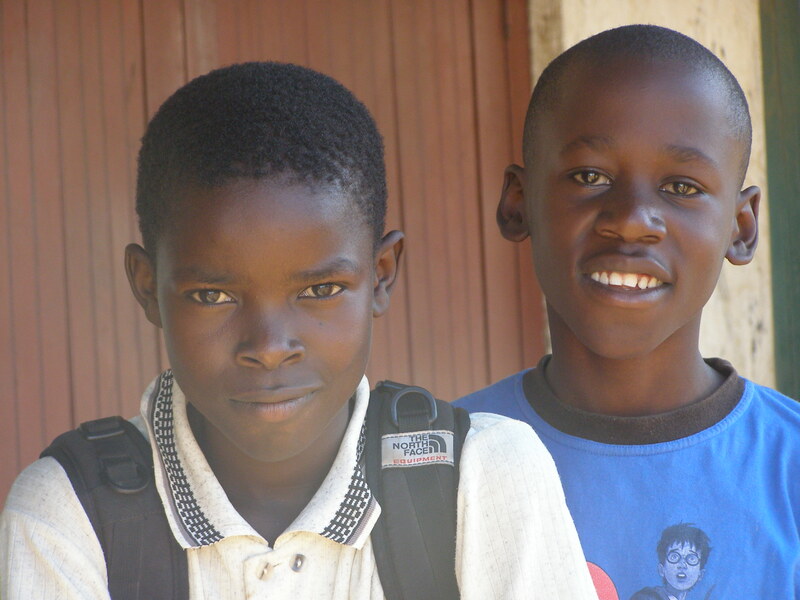 Enoss and Rheinhardt aged 14 in 2006 – standard 8 pupils. 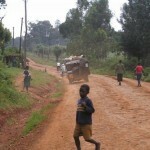 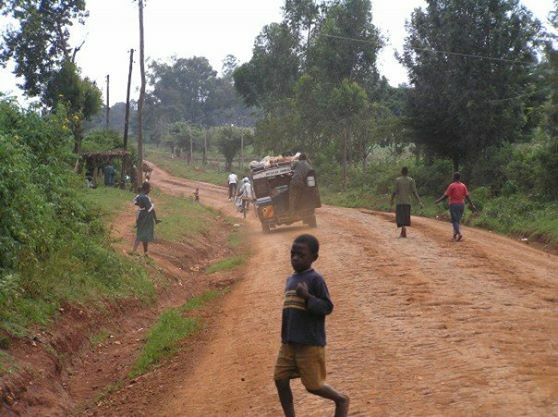 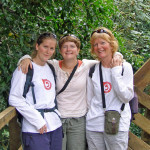 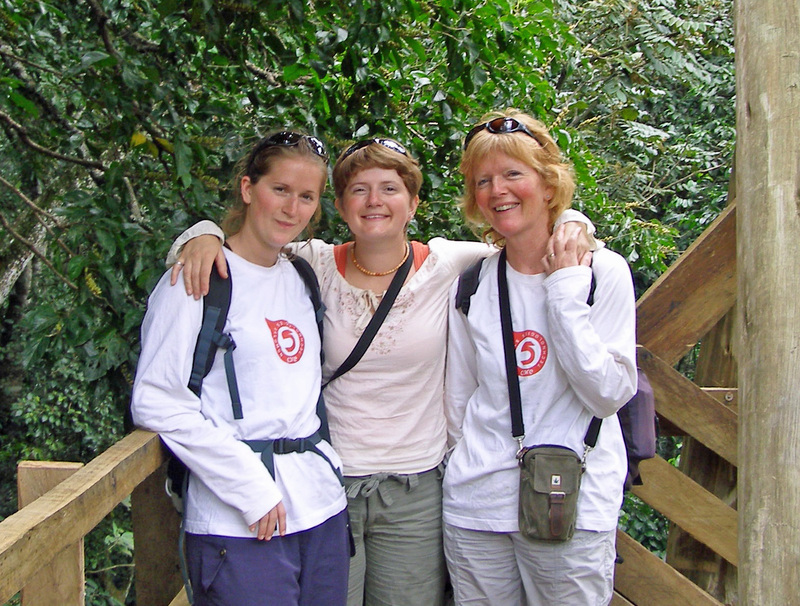 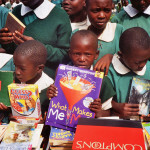 (From left to right) Jo, Becky and Pat, 2006 in Kakamega Rainforest. 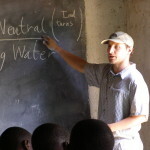 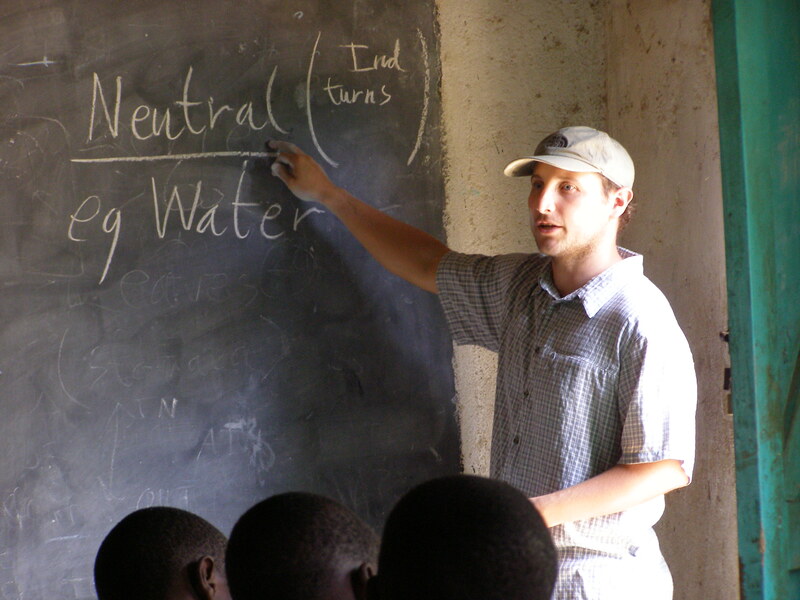 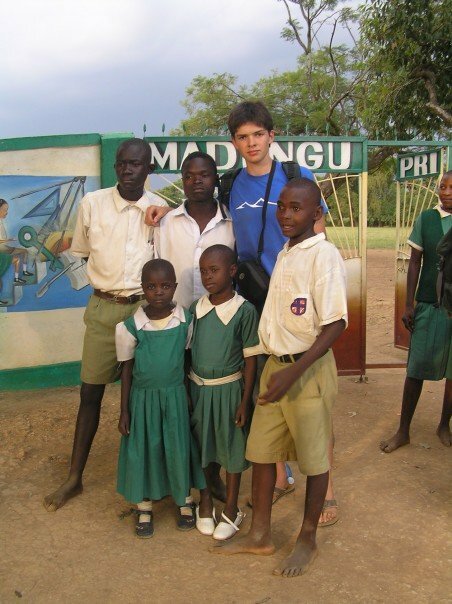 Adan teaches science to the standard 8 pupils with blackboard and chalk in 2006. 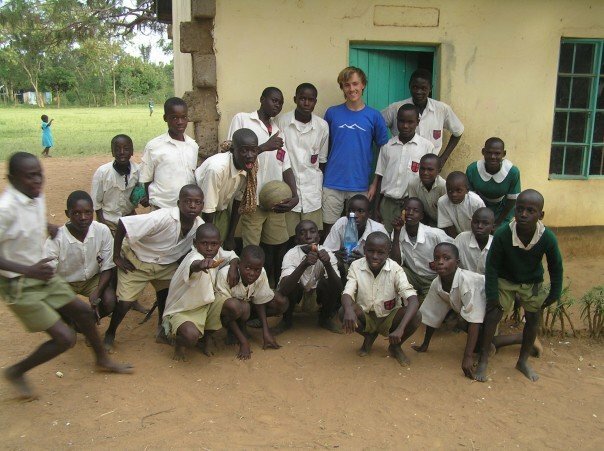 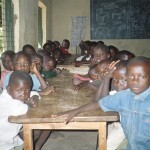 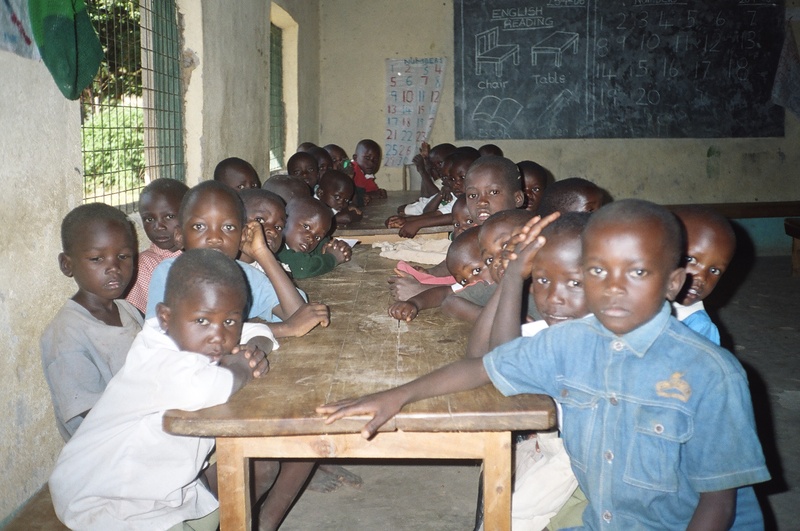 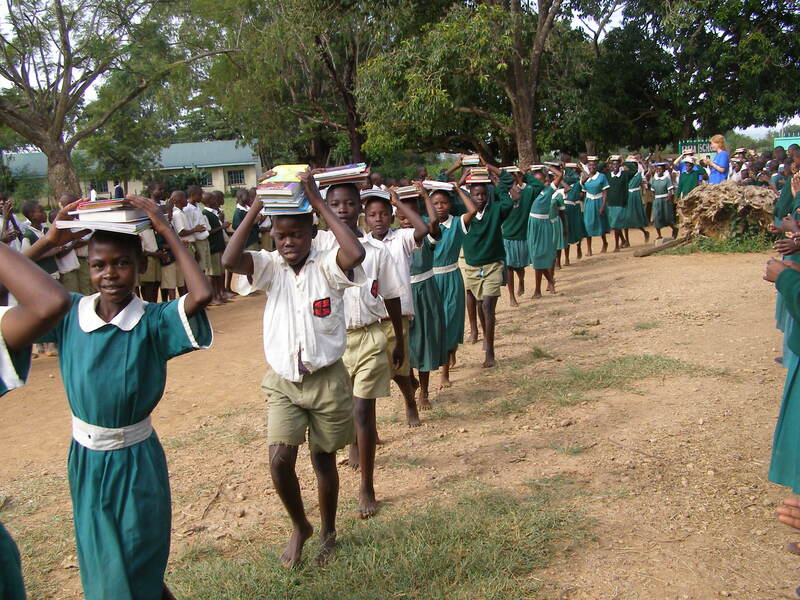 70 pupils per class in this standard 7 class in 2006 – often 4 to a bench designed for two. 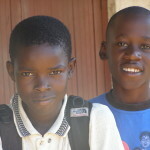 Since then, KCEP have employed three new teachers to help reduce class sizes.